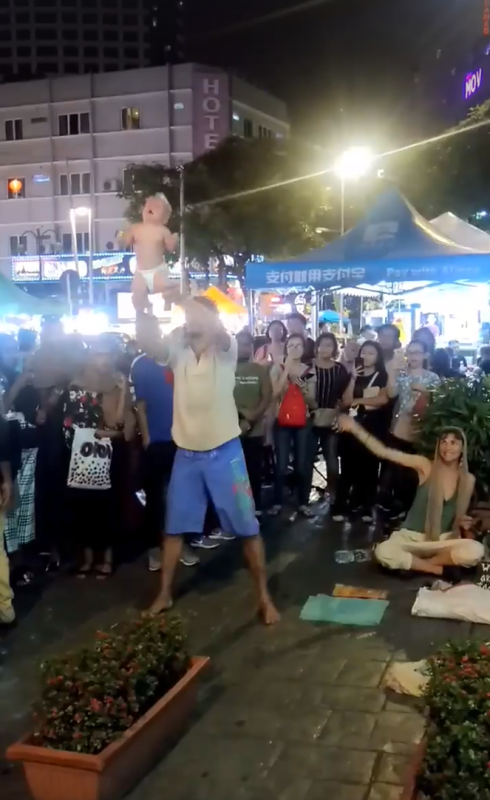 In a 90-second video uploaded by a Facebook user on 2 February, a Caucasian was seen holding the baby's legs and swinging the child back and forth vigorously as a couple of other performers played trance-like music with bells and instruments. "I happen to pass by this area in Bukit Bintang and I saw this irresponsible act that can literally cause injury to that poor baby. Why is the authority allowing such act to be showcase to public. 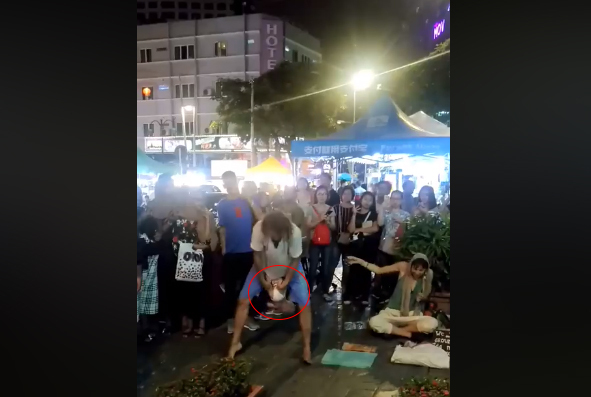 These street performer needs to be arrested! Please do something." "People are cheering for him to stop but he just pretended like nothing happened. And police? They're everywhere. But no one bothered hence I share this," the man wrote. A written sign was placed in front of the Caucasians that appeared to be begging for money to travel. 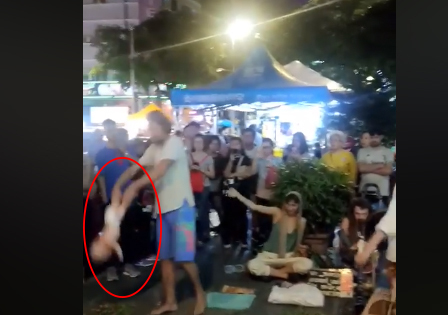 It is unclear who the baby belonged to or if the child was hurt during the performance. UPDATE: The Russian couple, aged 27 and 28, have been arrested by police following several reports made by the public. According to The Star, the couple will be remanded tomorrow, 5 February. The baby's umbilical cord was still attached when he was found. The Minister is reportedly marrying IOI Properties Group Bhd CEO Lee Yeow Seng.